No-Fennol may be helpful for digestion of those foods high in polyphenols. Digestion of fruits and vegetables may also be enhanced as No-Fenol includes enzymes that break down the components of plant fibers. No-Fenol was developed by Dr. Devin Houston, PhD enzyme biochemist. Two (2) tablets at the beginning of each meal. For smaller meals, one (1) tablet may adequate. More tablets may be taken as desired. 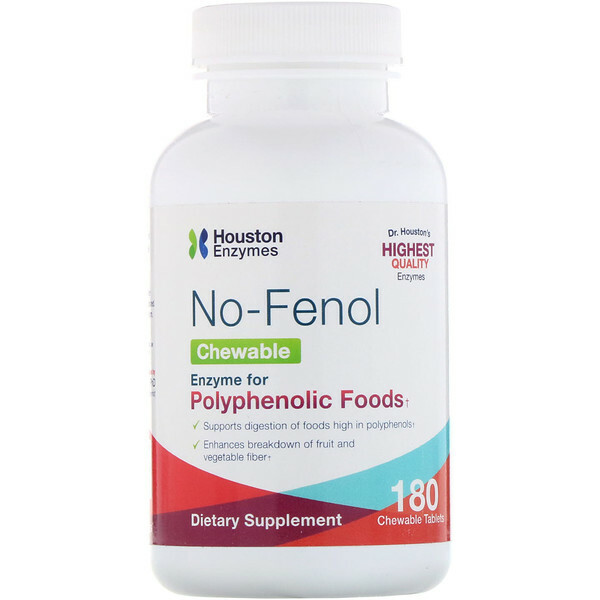 Two (2) chewable tablets are equivalent to one (1) No-Fenol in capsule form. Tablets may be crushed, using care not to inhale enzyme powder. Fructose, natural pomegranate flavor, hydroxypropyl cellulose, natural raspberry flavor, magnesium stearate, citric acid, silica, monoammonium glycyrrhizinate, sodium chloride. No added rice, dairy, wheat, gluten, soy, yeast, artificial colors or flavors, or animal derivatives. Do not use if tamper-proof seal is broken. Keep container closed and store at room temperature or in freezer, but do not place in refrigerator due to humid conditions. 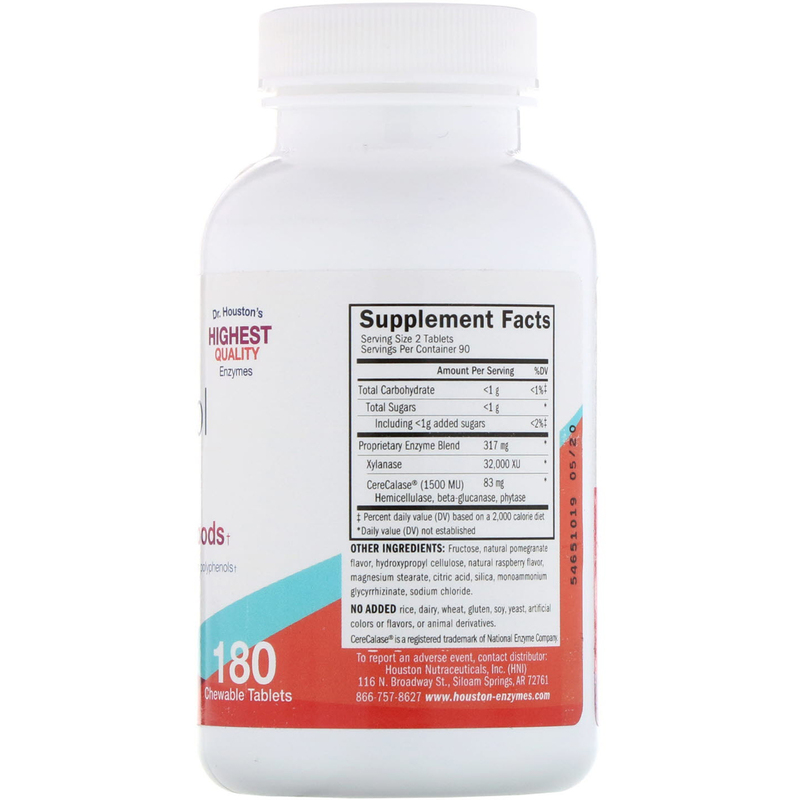 This product includes hemicellulase, which may interfere with sustained-release medications that use cellulase, hydroxypropyl cellulose, and/or hypromellose as part of the timed-released mechanism.